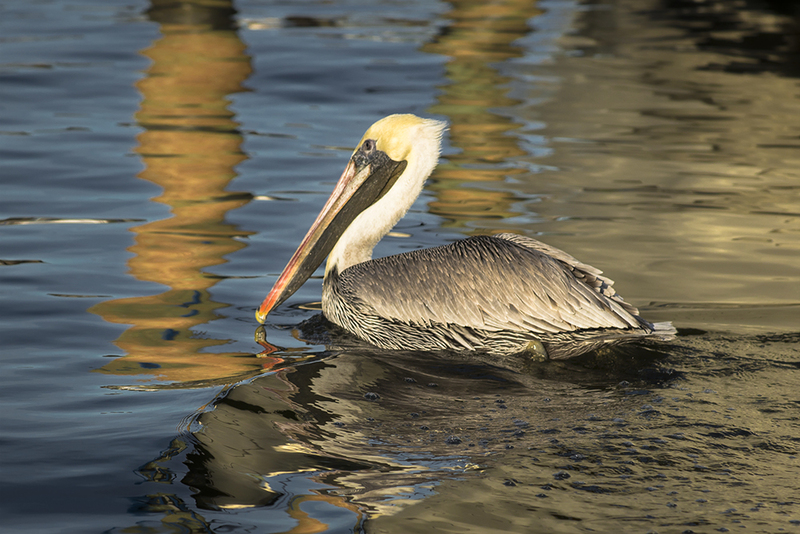 I wasn’t planning to shoot pelicans today, but there they were in the marina we are living in now on our sailboat, attracted by the man cleaning fish at the table designed for that purpose. The light was great so I grabbed my camera. 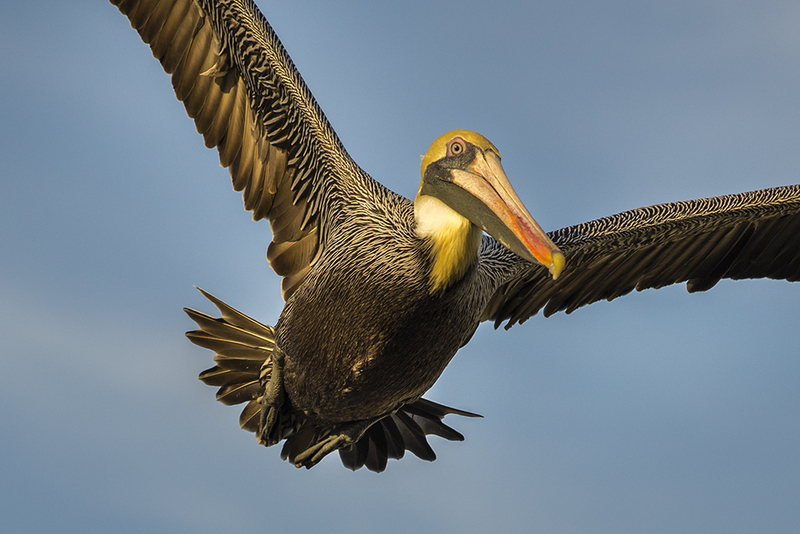 Groups of pelicans are called squadrons. They hover around waiting for tasty tidbits to be thrown at them. They swoop in and splash down, see what they can grab to eat, and then they fly away, splashing on take off too. They are so intriguing. 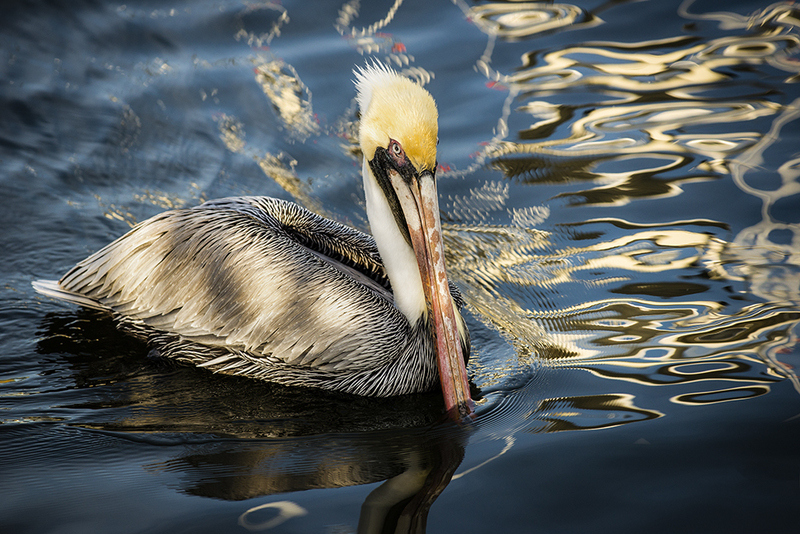 I learned a lot about these funny looking creatures last year and shared some of it in a previous post on pelicans. I took most of my shots last time from our dinghy and used my 24 to 85 mm lens. 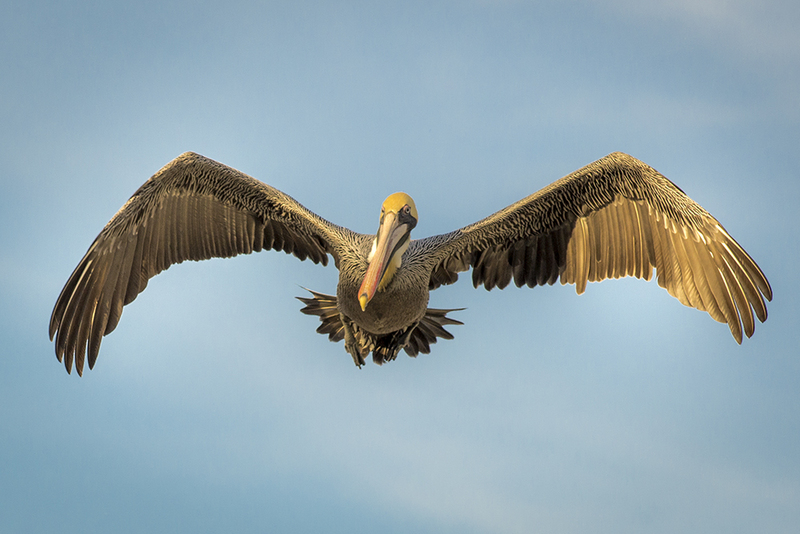 This time I used my 70 to 200 mm lens to capture the pelicans which enabled me to get some decent close ups. I also used back button focus, which resulted in much better focus in most of my shots. And of course continuous shooting gave me a good selection of pelican poses. Here are some of my favourite captures. By the way, I started a new blog about living on our sailboat, Windsong II. Pop over if you are interested. 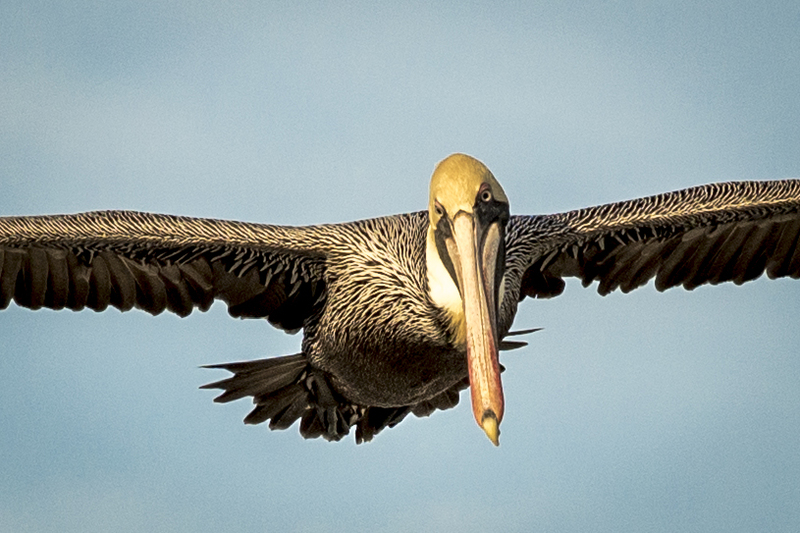 The pelican wingspan is about 6 to 7 feet.